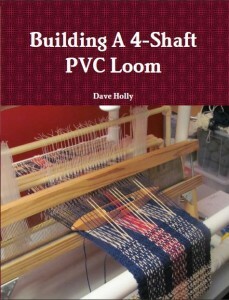 This is the 3rd “official” project I have begun on the PVC Loom. 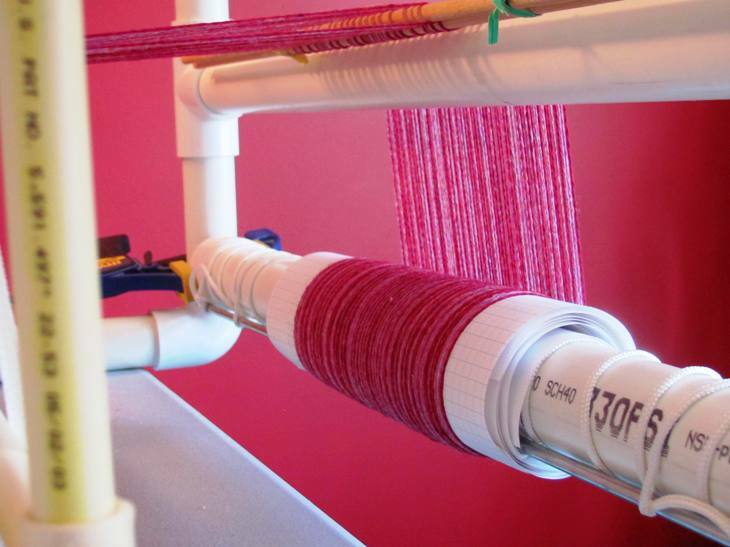 This is using a thinner 2-ply yarn at 12 threads per inch. 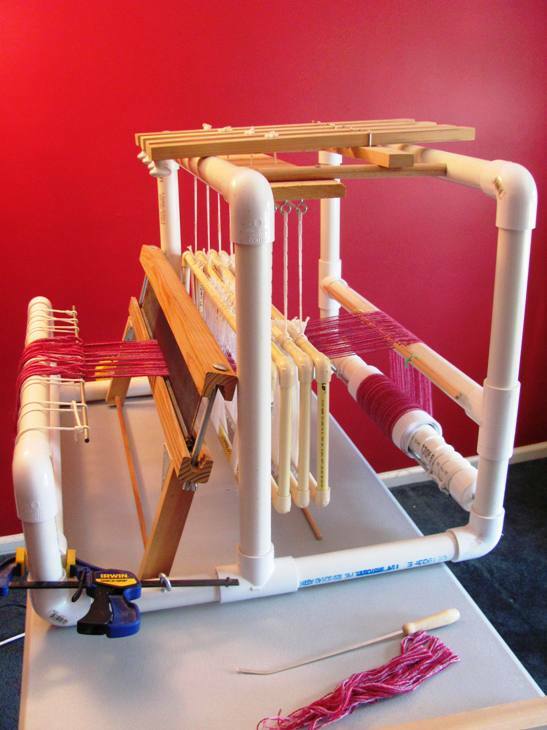 I have just warped the PVC Loom with about 3 yards of yarn. 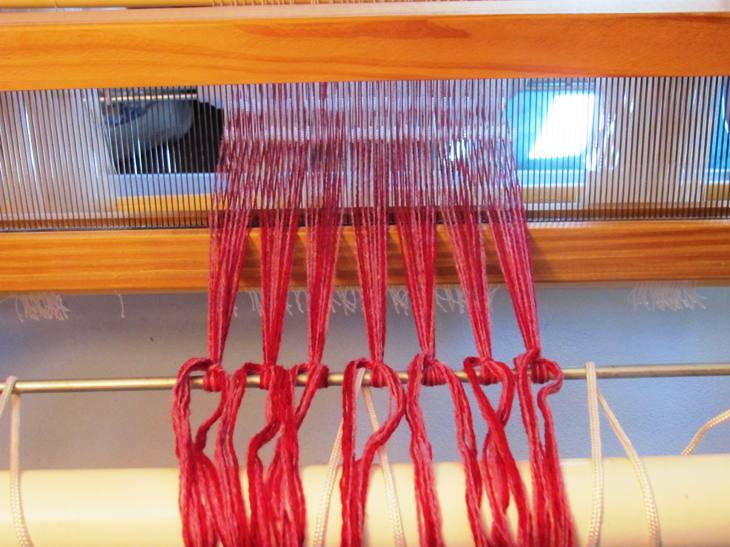 The beginning of the warp looks a little jumbled because I’m using an 8-dent reed. For 12 threads per inch in an 8-dent reed you must group 2 threads in every other dent. So, it looks like 2, 1, 2, 1, 2, 1, 2, 1 across the reed. Once I start weaving, the pattern will spread out and will be visible. Back beam holding the rest of the warp. Great post. i have enjoyed the reading your blog and i will come back again for sure.